Some sweet baby goodness is coming your way today! Gosh I love in-home newborn sessions! Not only does it remind me of those first emotional, sleep-deprived, overwhelmed-by-love days with my own babies, but it brings me back to why I was so enamored with photography in the first place. I am a visual storyteller. I have always been drawn to human stories wrapped up in tiny fleeting moments - a gentle touch, a wistful look, a shared laugh, and even the cozy, personal details of a carefully planned nursery - they are all part of this baby's heritage. They are his roots and they will help him define his place in this world. The memories made in these kinds of tiny moments will carry him through future moments of doubt and sadness. They will also enrich all his joyful reasons to celebrate life. They are the tapestry of his life story. And they are SO worth hanging on to. Welcome to the world Alexander! You are loved. The Norfolk Botanical Gardens is simply gorgeous year-round, but oh! this fall wedding in the Bicentennial Rose Garden was absolutely dreamy! 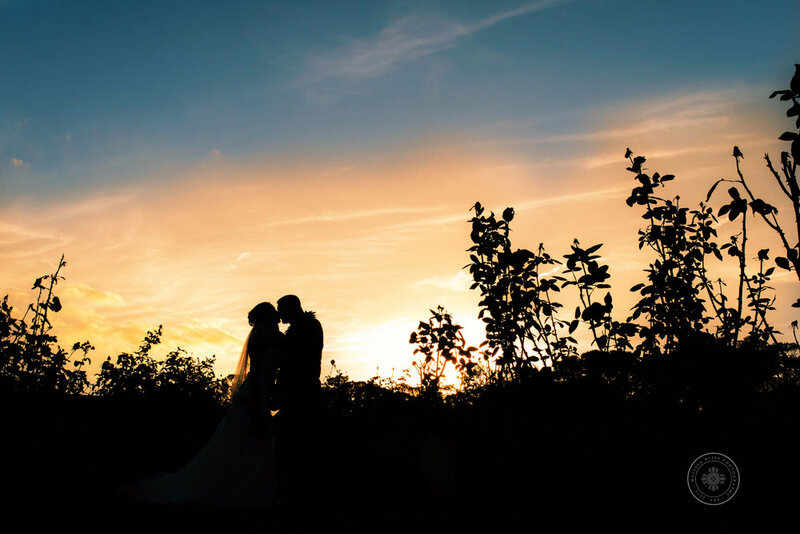 That golden fall color, the hazy, warm sunlight and the pops of flowering color made the perfect backdrop for Jackie and Craig's Norfolk military wedding. Jackie's family comes from Hawaiian heritage, so the couple chose to incorporate flower leis into their wedding theme. They were beautifully made with the freshest florals and greenery. What a delightful and unique touch! They even incorporated sentimental photographs to honor their loved ones who could not be present on their wedding day. 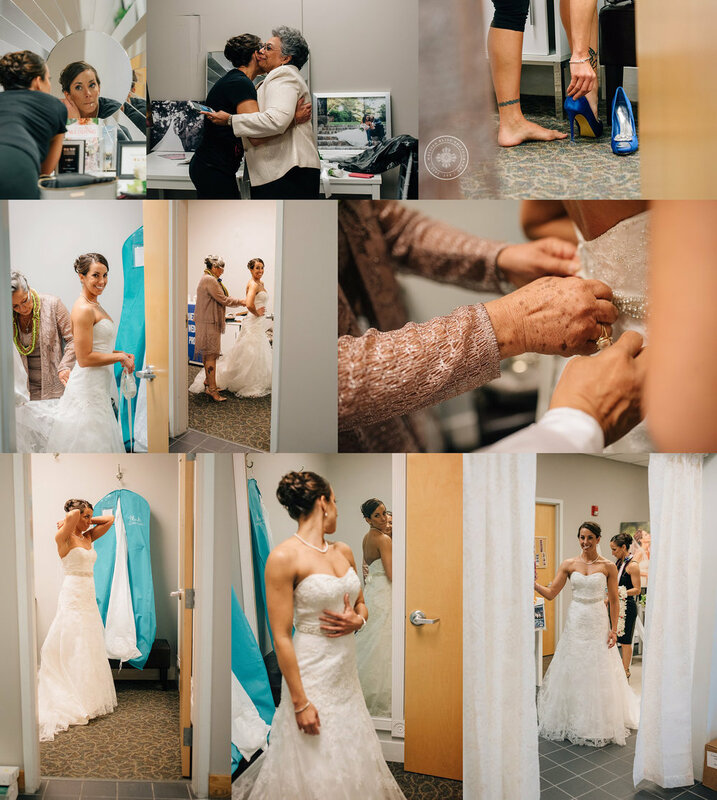 When I arrived Jackie, her sister and mother were finishing up their make up and dressing for the walk down the aisle. Jackie's strapless dress and simple veil were stunning on her - the girl is in crazy good shape! As they finished getting ready, Jackie checked in with Craig via text and then ventured down the hall to take a peek at their guests arriving. The excitement and anticipation grew as Jackie and her family gazed out at the rose garden. They all few silent for a few moments and I was able to capture this beautiful shot of Jackie in her final moments before the ceremony. Then is was time to make our way out to the rose garden. Jackie's mother walked her down the aisle to her handsome soon-to-be husband, waiting anxiously to see his bride. When I saw this moment coming together, my heart skipped a beat. It was official - Mr. & Mrs. Ameduri were hitched!! After greeting a few guests and many heartfelt embraces, we headed on to photograph the family formals and then portraits of the bride and groom. Norfolk Botanical Gardens never disappoints - it is always an amazing setting for photos! Jackie & Craig continued their wedding celebration with a reception cruise aboard the Spirit of Norfolk. If you would like to see more from this wedding, or find out more about our wedding photography services, contact us today!